Usually Gemini is anxious; he has many ideas and is full of energy. This seems normal, but taken to extremes, these traits tend to pull you apart. The key to this matter is to be selective, to choose what is best. Gemini is represented by planet Mercury and you by Mars. Those born under this zodiac sign tend to give you a feel of direction, but it will also exhaust you. That's because you are so active and always on the move. You tend to be around them because they awaken the deep desire to learn, to experiment, to report (even if by report they mean note-taking or story/article writing). Things they say can sometimes upset you. 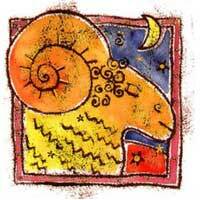 You can begin an argument and get tired easily, but Aries, do not forget that this is not something minor - you are stimulated intellectually. 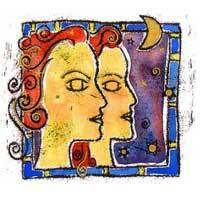 In a relationship with a native in Gemini you can expect variety, change and travel. If you correctly channel your energy, this relationship will be satisfactory.